Kill List‘s very nature makes it an incredibly difficult film to review properly. In point of fact, it’s the sort of film in which any foreknowledge of its events beyond the barest of essentials nickel and dimes you, robbing you piece by piece of its overall impact. Trailers and posters only hint at its secrets, if that, but though they give nothing away directly they’re best left ignored nonetheless. While additional awareness of the film’s details don’t strictly ruin its effect, the best way to view Kill List is with as much purity as possible; Ben Wheatley weaves an airtight mystery here using only what’s necessary, so much so that knowing more than you must upon confronting the film for the first time may alter your perspective. The second feature film from British director Ben Wheatley, Kill List spins a tale about Jay (Neil Maskell), an ex-soldier turned contract killer recovering at home from a botched hit in Kiev. 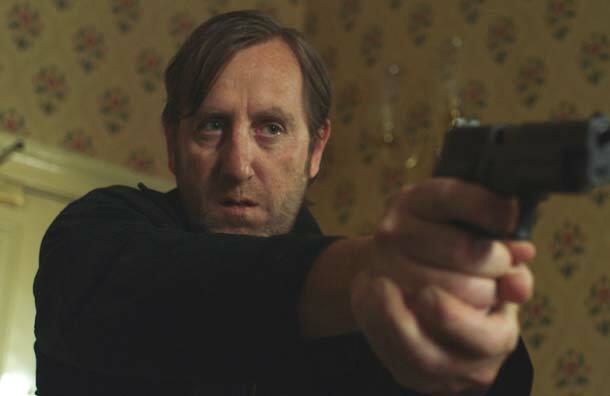 He’s pushed by his wife, Shel (MyAnna Buring), to take on more work after lazing around for the better part of a year; at her behest he agrees to take a contract with his friend Gal (Michael Smiley). The task seems easy enough at a glance. As Jay and Gal move further down the eponymous kill list, the job quickly grows out of the boundaries of their influence and Jay’s self-control diminishes, leading both men down a path far darker than they’d realized. Believe me when I say that the above synopsis does Kill List little to no justice, and if that summation reads as being especially bland then trust that it’s by my own design. I want to avoid, like the plague, going into anything remotely resembling spoiler territory. My aim is to sell you on a movie and get you to watch it, and not necessarily provide an in-depth analysis and divulge plot points and secrets of the narrative. Unfortunately, I’m also tormented by this insufferable need to discuss Kill List at length, and so Wheatley has quite cruelly left me in a predicament in my dual-role as a film writer and as a film lover. Saddled foremost with the responsibility of not revealing too many of the film’s particulars, I can say without anxiety that Kill List is intensely gripping and deeply shocking. Wheatley’s storytelling here is like alchemy, transmuting the run-of-the-mill tropes of hit man films into something that’s frightening, eerily potentous, and yet somehow totally grounded in the real world– though through ambiguity and a minimalist sensibility when it comes to explanation, the film still leaves you asking plenty of questions. In my estimation, that’s only a good thing. Wheatley’s greatest feat here lies in the way he conveys only so much information to his audience through dialogue, while filling the rest of Kill List with all of the data needed to understand its events and its ideas; this is the sort of film that takes care to play with its cards close to its chest. Pay close attention, however, and Kill List will reward you. And that suggestion is meant to be taken as seriously as possible. Kill List is rife with ominous symbolism and recurring imagery, both of which inform the progression of the film’s narrative without feeling inorganic. To not attend the tale with your utmost diligence as a viewer is to do yourself a disservice in observing the work that Wheatley and his cast have done here. This feels appropriate; neither the subject matter, nor the way in which the filmmaker approaches it, are to be taken lightly. As a result, Kill List demands heavy mental lifting from its audience. Wheatley, however, doesn’t abandon his audience even as he takes care to avoid spoon-feeding us answers through ham-handed exposition. Kill List is meticulously made; it contains all the necessary data to comprehend the disturbing, off-key beat the film ends upon, yet the answers to our questions aren’t always made obvious. 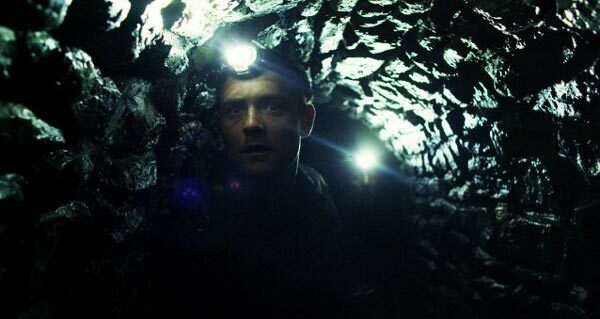 Alertness is an asset in processing how the film gets from its opening scene to its climax, and part of the experience of watching Kill List lies in piecing together the puzzle Wheatley builds his plot upon. The other part belongs to the visceral. Kill List is thoroughly unsettling in a myriad of respects, though it’s most rattling moments are inclined toward its violence. Given Jay’s and Gal’s profession, the presence of bloodshed is to be expected, but the degree of and propensity for brutality Jay displays goes far beyond the pale– even for Gal. Over the course of the film, much is made of Jay’s mental and emotional well-being, and his rage issues extend beyond fighting with Shel over grocery lists or smalltalk made over dinner with friends. Yet it’s in those moments that Kill List may be most upsetting. They do not play with our senses or perturb us in quite the same ways the last forty minutes of the film do, and that may be why they’re so powerful– because a scene in which mother and father bicker loudly and furiously with one another while their child watches helplessly in the background feels all too real. So too does the film’s quiet critique of Iraq, subtle, mentioned sparingly, but omnipresent as Jay and Gal work their way through their targets. But these moments of reality help add to the film’s harrowing finale. By revealing heightened, sinister elements– after consciously building toward and hinting at them throughout the rest of the film– Wheatley subverts that fostered sense of hyper realism. There’s no doubting the legitimacy of Kill List‘s falling action, but it’s chilling and horrifying by virtue of how it upends what we know of the world Jay inhabits. Kill List is, I suspect, the sort of film that grows stronger and more grimly satisfying with repeat viewings. It’s an utterly haunting, unforgettably dark film that’s made with the sort of peerless precision not typically associated with genre films. Wheatley’s craftsmanship ends up lifting his film into a different cinematic strata. There are no cheap thrills here, only painstaking devotion toward developing its central mystery with the utmost care, and when realization dawns on Jay in the final act and we see Kill List‘s full scope come to fruition just before the credits roll, the film’s total effect will linger with you for days after watching it. I can only hope to catch this on DVD. Great take on it Andrew! Thanks Colin. Hope you get to see it before all too long, because it’s outstanding. What really struck me about this is how it makes such a close approximation to The Thing in terms of being so meticulously made. All the necessary information needed to draw conclusions about the film’s ending is present; it’s just not conveyed directly and overtly. That’s one of Kill List‘s most valuable attributes, I think. You just blew my mind with what you just said there! 😉 lol I didn’t make that connection but your absolutely right with that parallel. Bravo!